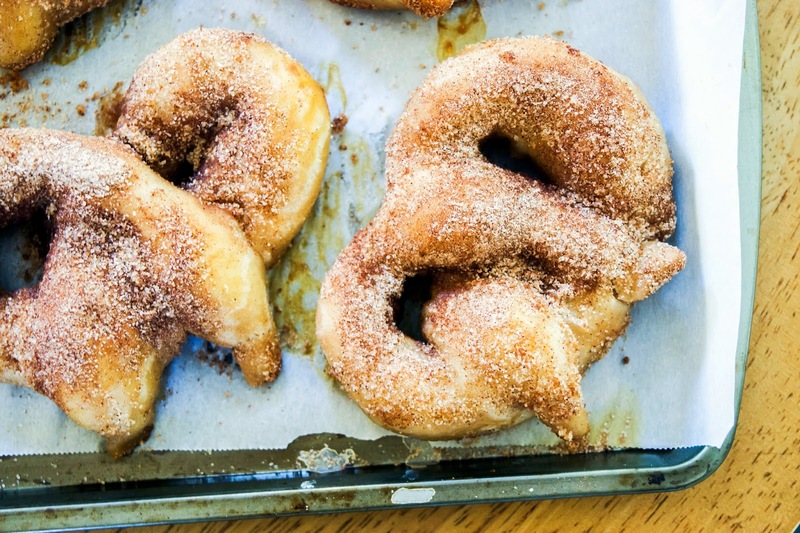 The one thing I always associate with mall visits is a sweet, buttery, perfectly chewy-yet-fluffy cinnamon pretzel. Oh, and multiple trips to Teavana for those free tea samples (shhh!). Clearly I have much different priorities than the average person. There is just something so wonderfully satisfying about biting into that giant mall pretzel after an afternoon of sifting through clothing racks and navigating sales associates that all of the sudden makes the stressful shopping experience all of the sudden seem okay. 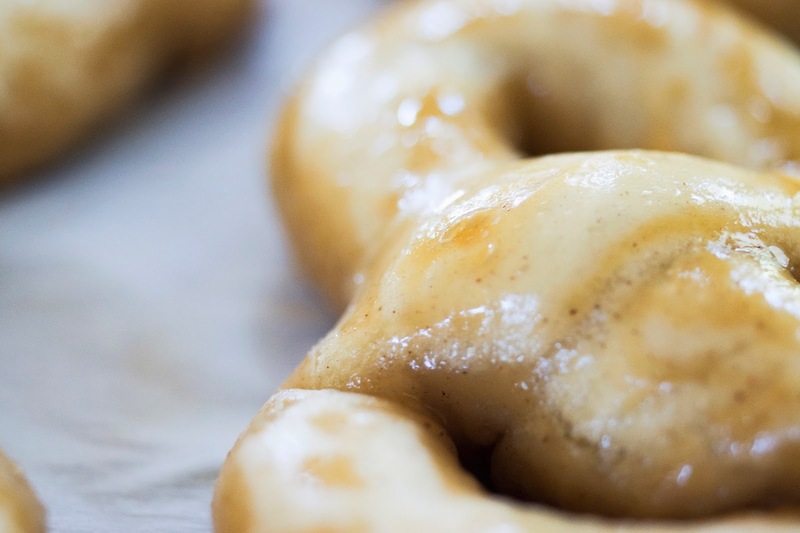 Now that I live in DC and do most of my shopping online though, I rarely ever have the patience to step foot into a mall, so these copycat pretzels really do satisfy that craving for carby, buttery, cinnamon goodness. 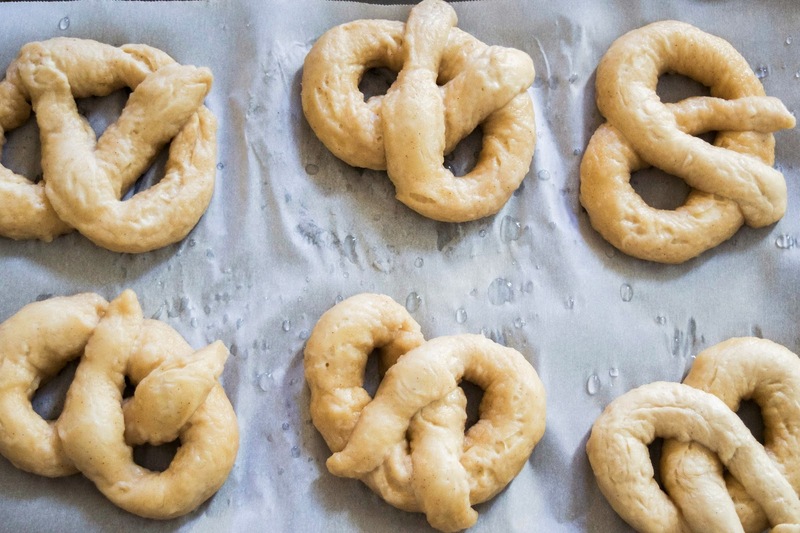 These pretzels are a great beginner recipe for those who aren't too comfortable working with yeast-leaven breads. 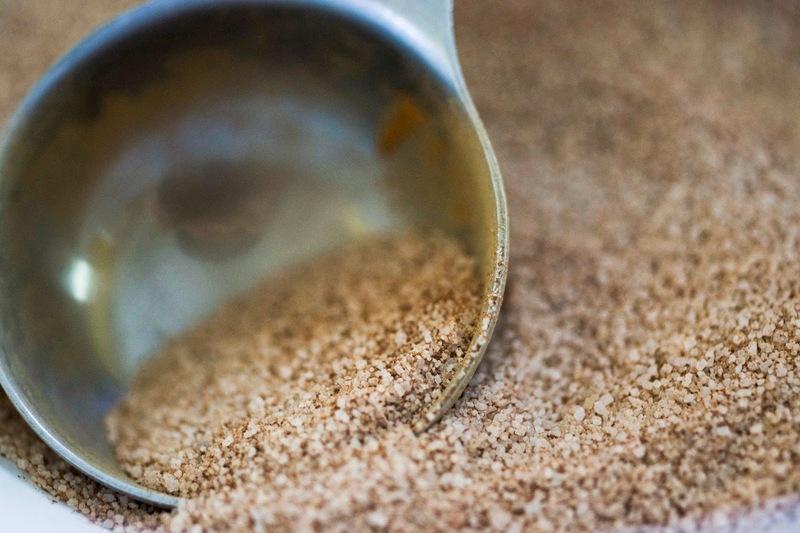 Give yourself a few hours and you'll be rolling in cinnamon sugar coated riches. 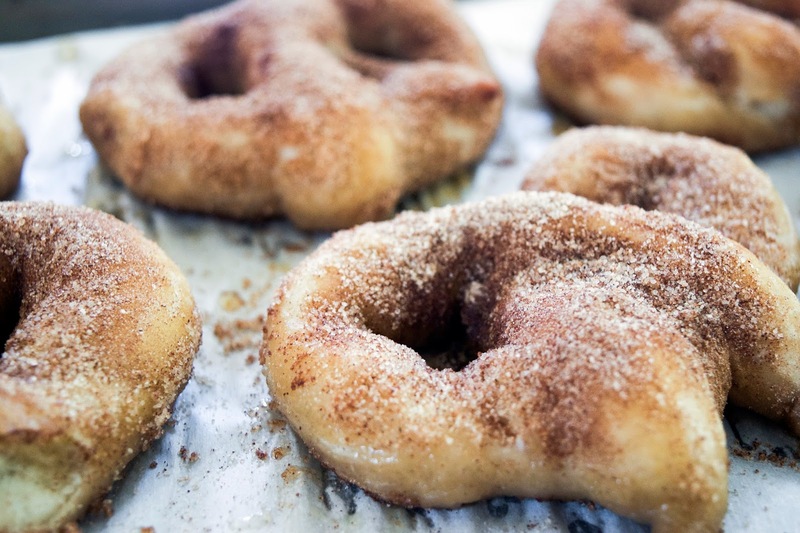 For a fraction of the cost and completely customizable, these fluffy yet chewy, perfectly golden brown beauties are something you'll want to try out. Kneed with an electric mixer fitted with the dough hook until smooth and elastic. The dough should still be very soft and slightly sticky. Transfer to a lightly oiled bowl and set to rest in a warm place until doubled in size. Preheat oven to 425 degrees fahrenheit. 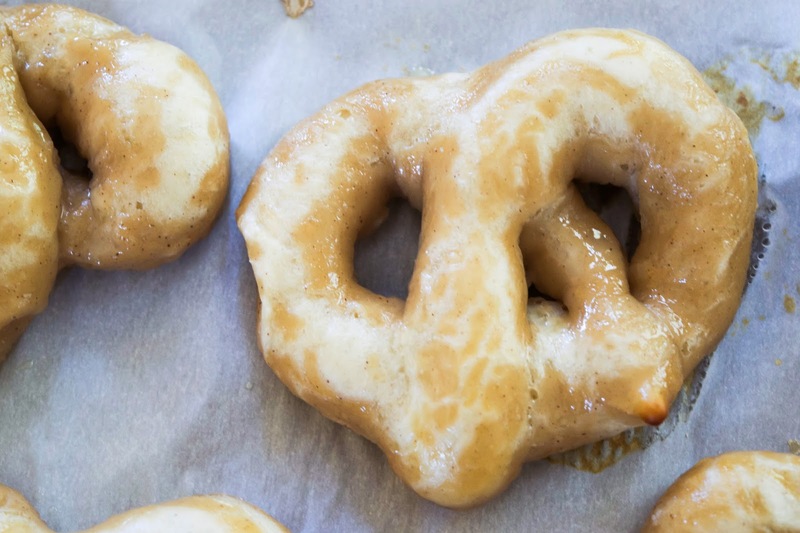 Punch dough down and divide into 8 equal pieces and roll into pretzel shapes. 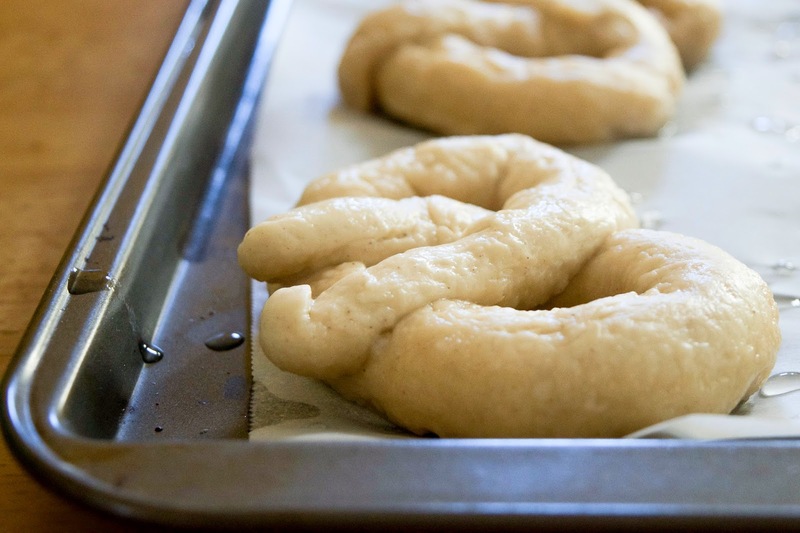 Make sure to cover the dough when not working with it to prevent drying out. Prepare the boiling alkali water by adding baking soda to a large pan of shallow boiling water. You may need to occasion reboil the water in between dips. 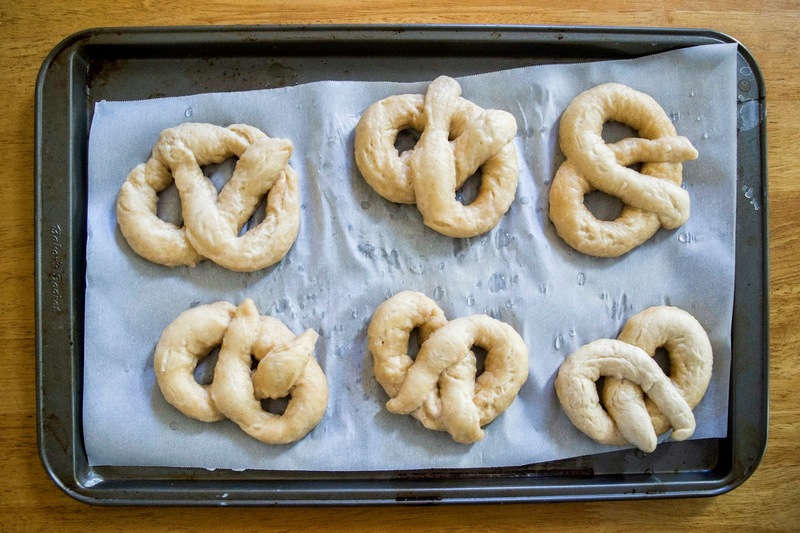 Dip pretzels into water for 20-30 seconds before lifting and allowing to dry before transferring onto a baking sheet. 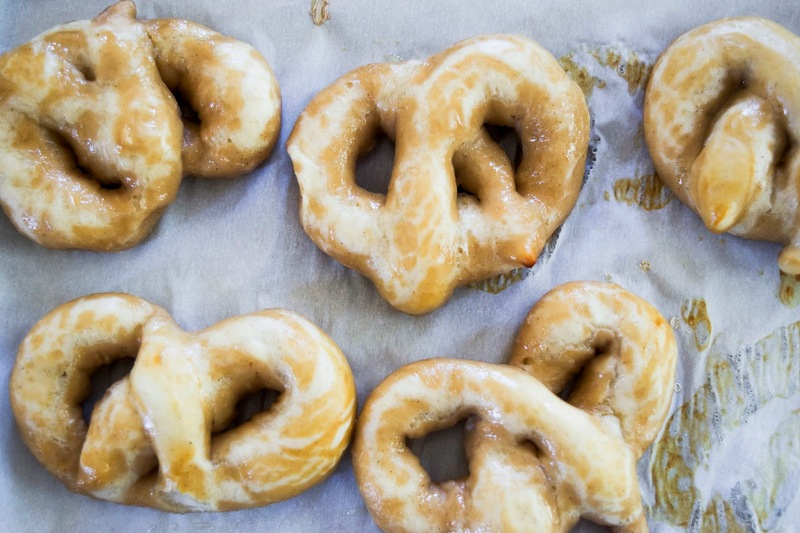 Make sure the bottoms of the pretzels are not too wet when placed on the pan to prevent soggy bottoms. 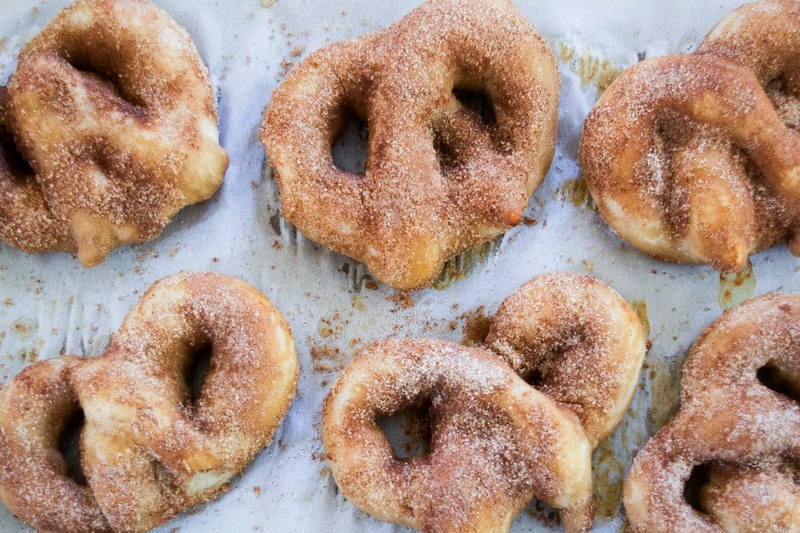 Bake for 15-20 minutes until golden brown.While the pretzels are baking, mix together sugar and cinnamon coating. 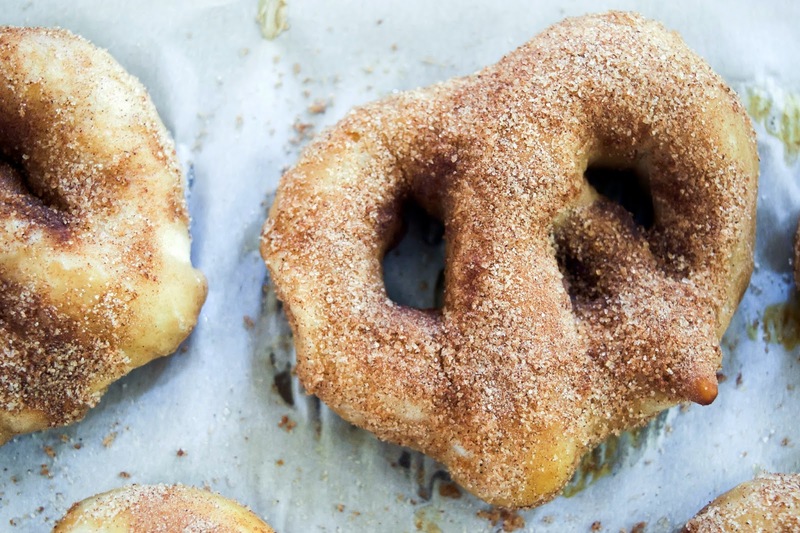 Remove from oven and immediately brush with butter on both sides before tossing or sprinkling liberally with cinnamon sugar. Allow sugar to set for 15 before enjoying.